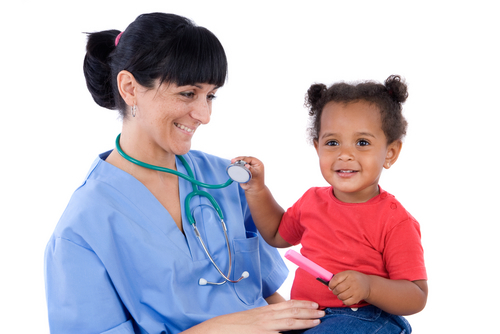 All immunisations are carried out by the practice nurse and health visitor, supervised by a doctor. Clinics are held weekly on Fridays 1.30 - 2.30pm by appointment. Maternity care is provided by the community midwives. They hold a clinic at the surgery each Thursday morning between 9.00am-12noon. We offer a comprehensive travel health service during routine appointments on all matters relating to healthy travel abroad, including avoidance of malaria, and a full immunisation service with the exception of yellow fever. Please book your first appointment as early as possible, preferably at least six weeks before departure. You will be asked to complete a travel questionnaire for each member of your party - please help us by returning this two days prior to your appointment, particularly when your itinerary is complex. See our above travel page for more information. Minor surgical procedures are carried out at the surgery by Dr Reeves on a Thursday afternoon. Joint injections are carried out at the surgery by Dr Jordan and Dr Reeves. Patients will be invited for a health assessment in the month of their 75th birthday. If you are housebound then arrangements can be made to visit you at home. We will endeavour to contact all patients over 75 who have not been seen every three years or you can make an appointment with our Health Care Assistant for a check-up if you have any concerns. GPs will recall patients who are on regular medication or with a chronic disease at regular intervals. All ladies aged 25-50 are advised to have a smear test every three years and those aged 50-65 every five years. Please contact reception for an appointment with the practice nurse. Appointments can be made with any doctor for advice on, and management of, contraception. Once a method is established you are advised to have an annual check-up and a smear every three years. This can be booked with the doctor or the practice nurse. Vaccination is recommended each year in line with Department of Health guidelines. Look out for practice posters annually. At the same time patients aged 65 and over, or patients in high risk groups, will also be offered vaccination against pneumonia. In this case one injection should provide 10 years' protection. Please contact the surgery to make an appointment. When the GP refers you to a hospital to see another health professional, this is now organised through the e-Referral system. The GP will either directly book an appointment for you or a telephone appointment slot will be given to you to contact the TCC (Trafford Co-Ordination Centre) service directly and they will make a convenient appointment for you. To make an enquiry regarding a referral that we have made for you please contact the TCC on 0161 976 2555.